South Korea is going to ban the crytocurrency especially Bitcoin. The Minister of Justice has made the announcement that bill to ban the trading of crytocurrency is being prepared. The local police and the tax authorities raided the exchanges of Korea on the alleged tax evasion to add fuel to fire. The minister has released the press release by saying that there are great concerns about the virtual currencies and the minister of justice is preparing such a bill to put ban on the crytocurrency trading through the exchanges. take months or year. The bill on the cryptocurrency was not finalized but it does not stop the value of Bitcoins in South Korea from crashing. The price of Bitcoin has been fallen by 21% in the country and the trading at 18.3 million won. 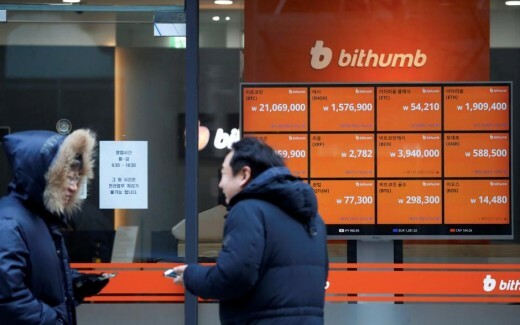 The users should note that the currency trades at the average of 30% higher price in Korea, when it is compared to average price of Coin Desk. There is huge difference in price and it is prompted CoinMarketCap (the crypt data resource) to declare that they will exclude the prices from some of Korean exchanges. The astronomical rise in Bitcoin last year is prompted to invest in it and add the students. The NH Investment & Securities in South Korea analyst said that the virtual coins trade at the premium in South Korea and herd behavior showed how strong their demand is. Some of the officials are asking for stronger and stronger regulations and they only see various other investors to jump in it.